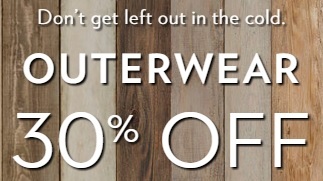 Enjoy Outerwear sale from Reitmans Canada. Save 30% off original prices on selected outerwear. Clearance styles are already reduced up to 50% off. Official source of the information is Reitmans Canada. Offer is valid online only. Offer is time limited. More details about the promotion available on the official website.